Like a Stone That Keeps Rolling: Bob Dylan's 'Time Out of Mind' album has reminded everyone of his status in rock's pantheon. AESTHETIC PURISTS will always tell you there's a difference between cooking and cuisine, between going to the movies and attending a film, between reading real literature and imbibing pulp fiction. As the century nears its end, however, such lines are beginning to blur. Nowadays, tony restaurants are just as likely to serve fried chicken as they are coq au vin, and The Terminator is hailed in French cinema circles as an existential masterpiece. But nowhere are the lines between high and low art as blurry as they currently are in rock & roll. Even as experts acknowledge that "Be-Bop-a-Lula" may be as deep a rock lyric as any ever written, rock & roll music has drawn more than its fair share of intellectual discussion. Indeed, ever since the '40s and '50s, when writers like Jack Kerouac and Colin MacInnes began using jazz and big-beat music as a metaphor for modern life, popular music has been a magnet for elitist interpretations. Both the folk movement of the '50s and the psychedelic-rock movement of the '60s were affiliated with the political Left and the intelligentsia. And even today, the annual Elvis conference held at Mississippi State University rivals similar scholarly gatherings about William Faulkner and Flannery O'Connor. No popular musician, however, has created such a wealth of learned discussions as Bob Dylan (who appears with Joni Mitchell and Van Morrison May 19 at the San Jose Arena). Dylan's lyrics--from "blowing in the wind" to "the times they are a-changin' "--have passed into the popular lexicon. MOST SO-CALLED Dylanists confine their research activities to taping and archiving the man's every performance, but there is another school of scholarly analysis that attempts to lift Bob Dylan out of the mire of mere rock stardom and make him into a 20th-century literary icon. This practice--called "Dylanology"--exists in distinct opposition to conventional rock criticism, which actually works as a form of consumer guide, helping people to make informed choices about which of the 24,000 CDs released each year are worth listening to. Dylanologists would deride such a commercial goal. 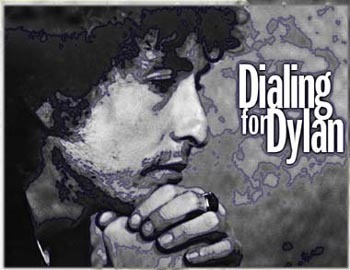 Their intention is no less than to legitimize Dylan as a poet, and they seem to be succeeding. Although Dylan's music is no more popular (or populist) than it ever was, as of this spring, Dylan enjoys his highest level of acclaim ever, having won both a Grammy for his 1997 record Time Out of Mind (Columbia) and the more prestigious annual Pazz & Jop Critics' Poll in The Village Voice. But Time Out of Mind is not entirely what has revitalized his career. Dylan has, in fact, been releasing records and touring nonstop since 1988, with ever-diminishing interest surrounding his records and his once mythic celebrity stature. According to Paul Williams, author of three books on Dylan and editor of Crawdaddy, Dylan's resurgence in the world's consciousness is due to a death scare he had last summer. After Dylan canceled some dates with Van Morrison due to a heart ailment, says Williams, "it kind of reminded people of his mortality. Newsweek ran a headline, 'Dylan Lives,' and a greatest-hits LP that came out in England went to No. 1. It was one of those 'You don't miss your water till the well runs dry' kind of things, and it made people pay more attention to Time Out of Mind when it was released soon after." Another reason Dylan may be being treated with more seriousness lately is his 1997 performance at the Vatican in front of the pope. As ridiculous as such a performance sounds, it in fact gave Dylan just the type of real-world credence that rock stars long for. WHATEVER THE REASON, respect for Dylan's achievements is currently at an all-time high. This spring, Stanford University held a Dylan conference that drew 400 people to listen to papers comparing his works to those of Rimbaud, Baudelaire, Keats and Shakespeare. By any standard you care to name, the conference was a success, earning mentions in The New York Times and The Wall St. Journal. Not all English scholars agree that Bob Dylan deserves a place in academia, but even those that don't are willing to take analysis of his work seriously. Betsy Bowden, professor of English at Rutgers University, may be the only person in America to owe her tenure to a work on Dylan. Her 1978 Ph.D. thesis at UC-Berkeley was later published as Performed Literature: Words and Music of Bob Dylan (Indiana University Press, 1982). Bowden's book compares different performances of the same song and studies how such changes can affect interpretation of the numbers. Bowden points out that many forms of literature are not meant to be read on the page--drama, for example, and old-English poetry. Rock music, too, has nuances and phrasing that can vary from night to night. Although Bowden, who is now a Chaucer specialist, got tenure thanks to Dylan's music, she considers the idea of teaching a whole course on his work "frankly appalling." She does, however, jam bits of Dylan into various special courses, including ones on "Folklore, Literature and Sexuality" and "The Literature of Travel," which ends with Highway 61 Revisited. "There's no reason I couldn't teach a whole course on him," she says wryly, "but the disadvantage would be that too many people would sign up. Think of all the papers I'd have to grade!" Friend or Fo? : Critic Greil Marcus argues that Bob Dylan deserved the Nobel Prize for Literature more than winner Dario Fo did. INTERESTINGLY, most conventional rock critics decry the move to make Dylan into a literary icon. Author and former New York Times columnist Greil Marcus' most recent book, Invisible Republic, is a dense, imaginative and lyrically written take on the place of Dylan's Basement Tapes in American country music. Marcus, however, thinks Dylanology is a laughable development. "I guess I have a really hidebound attitude as to what goes on at a university," Marcus says. "I think you should be studying stuff there that you can't encounter on your own. When else are you going to read Dickens?" Crawdaddy's Williams takes a less severe stance on the topic. "It's pointless to look at Dylan as a page poet," he agrees. "I don't really think he should be treated academically, but [at the Stanford conference] some of the textual analysis was absolutely brilliant. Professor Christopher Ricks' parallels of [Dylan's lyrics] to Keats' 'Ode to a Nightingale' were clever and legitimate; he treated Dylan with awareness and sensitivity." Williams--who read a paper at the Stanford conference on Dylan's attitude toward his audience--adds that although the conference was the first significant acknowledgment of Dylan as a literary figure in academic circles, the notion that Dylan be lifted out of the realm of pop "happened long ago. He's been that kind of icon for 30 years." Williams is right: at this point, Dylan's place in history is not disputed. Certainly when he "went electric" at the Newport Folk Festival in 1965, he changed the face of popular music forever. But does that justify his recent nomination for the Nobel Prize in literature? Williams thinks so. "He deserves it," he says, "but what it all boils down to is 'What is literature?' It'd be fabulous for those people to have to include the performing arts." Bowden, who actually wrote the academic recommendation of Dylan to the Nobel Prize committee, points out that Winston Churchill once won the same prize for oratory. Dylan, however, didn't make the top five. 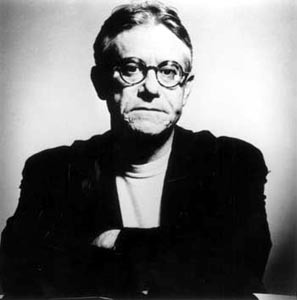 Greil Marcus, for one, thought he understood why at the time--"He doesn't write literature"--but when it turned out that the winner for 1997 was Italian radical playwright Dario Fo, Marcus says he reconsidered. "Fo," says Marcus, "is far short of being a writer of great literature; he was being rewarded for shaking up the establishment. And on those grounds, Dylan should have won hands down." From the May 14-20, 1998 issue of Metro.